The Phyto Sintesi AHA Cream from Natali Products is the ideal professional skincare product for all skin types. 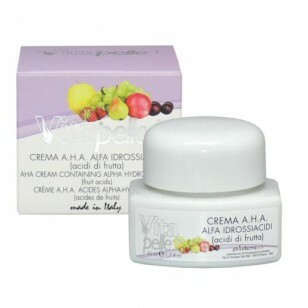 The AHA Cream comes in a glossy, jade-like 50ml container that radiates a fancy and classic aura. Put it on display as an added decoration to your spa’s showcase. Effective and attractive at the same time! Preferably during the evening, apply the AHA Cream once a day onto clean skin, massaging it in until the cream is fully absorbed. 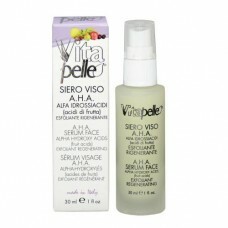 Use a sunscreen during the daytime when you use products with AHAs for a treatment. Take this skin impurities treatment to the next level by applying the Phyto Sintesi AHA Serum (PD0403) underneath the cream for a month. Your client’s skin will appear younger and feel fresher. Expand your skincare collection with the Phyto Sintesi AHA Cream from Natali Products. Buy this must-have AHA Line product today to add to your esthetics supplies! Check out our website for more professional skincare supplies. If you’re around the Toronto area, visit us at our showroom. Plus, we also ship our affordable products worldwide. Note: Use a sunscreen during the day.